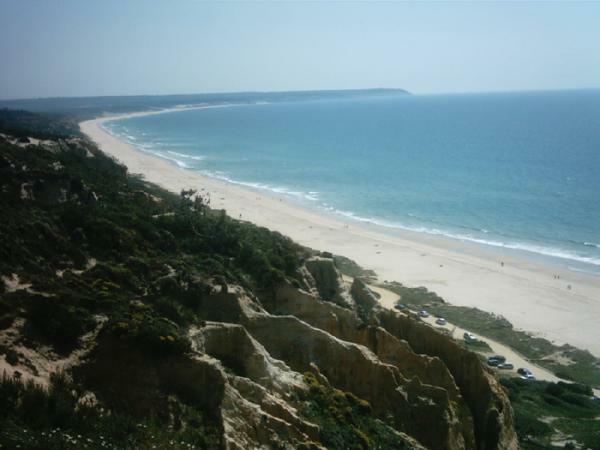 eNTERFACE'13 will take place at the Department of Electrotechnical Engineering (DEE), Faculdade de Ciências e Tecnologia, Universidade Nova de Lisboa, Caparica Campus, Quinta da Torre 2829-516 Monte de Caparica, Portugal (the "Edifício X" on the aerial photograph below). 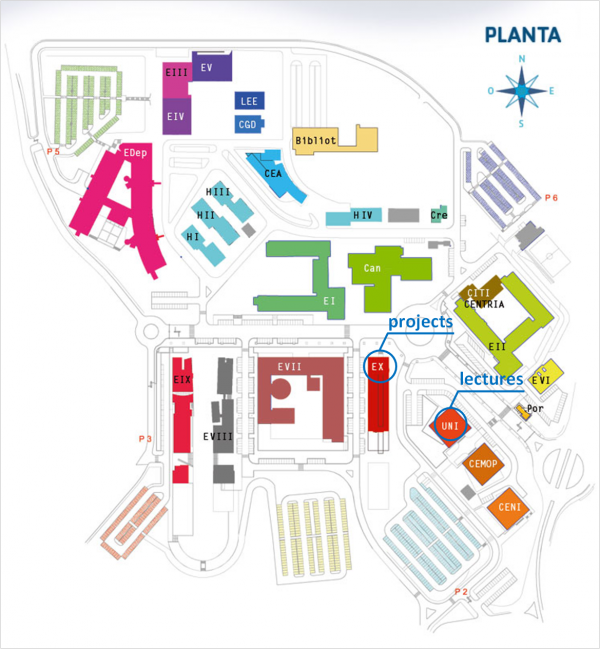 eNTERFACE'13 will be held in the two buildings indicated by the yellow squares. In orange is the workshop official lodging. 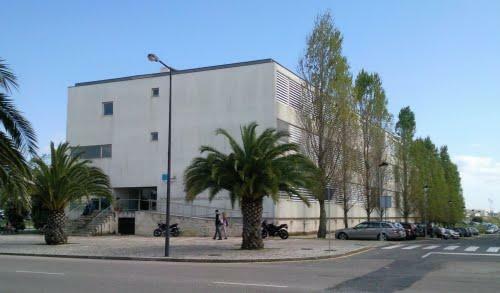 Faculdade de Ciências e Tecnologia (FCT) is located between the south bank of the Tagus river and the beautiful Caparica sea coast. This faculty, founded in November 1977, is nowadays organized into 14 departments and 18 research centers, in a total of 568 members of academic and research staff. FCT provides high-quality university education in Sciences and Engineering to 7439 students, through undergraduate and graduate programs, comprising 89 courses. The Department of Electrotechnical Engineering (DEE), founded in 1993, offers undergraduate, MSc and PhD courses. The research activities of the department are mainly supported by UNINOVA - Centre of Technology and Systems. Projects will run in the DEE building, where basic network infrastructure and internet access will be provided. The opening ceremony (which includes the welcoming speech), keynote lectures, mid-term presentations and the concluding session where participants will present their work, will take place at the UNINOVA Amphitheatre, which is a lecture hall reserved for official/important functions. 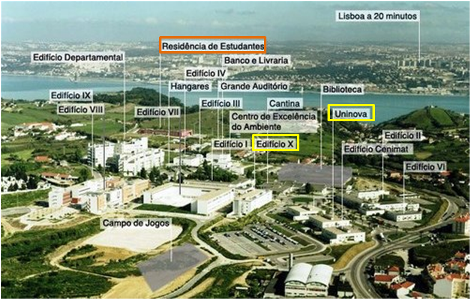 See the campus map below, in order to locate the two main buildings ("E X" and "UNI") that will host the event.